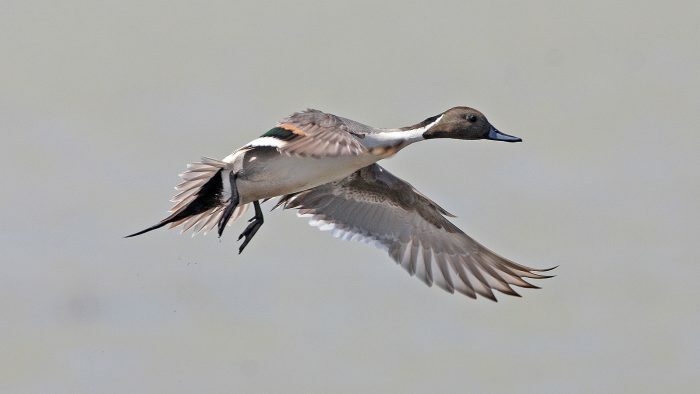 Up to 20 per cent of North America’s waterfowl migrate south to overwinter in Mexico. But the unique habitats these snowbirds depend on when they arrive are threatened. 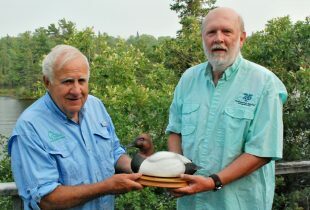 Committed conservationists from Ducks Unlimited’s southernmost partner are working tirelessly on their behalf. Walking through thick canopies of red, black and white mangroves, Gabriela de la Fuente leads a group on a tour near Celestun on Mexico’s Yucatan Peninsula. She points out areas that are degraded and describes restoration techniques that are bringing many mangrove forests back to life. 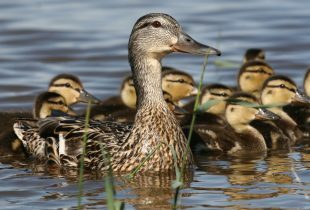 She identifies a flock of blue-winged teal overhead and explains that more than 80 per cent of North America’s blue-winged teal winter in Mexico. She’s in her element. De la Fuente is Ducks Unlimited de Mexico’s (DUMAC) assistant director. The people she guides are part of DUMAC’s RESERVA program, the first internationally focused, hands-on training program for natural resources professionals focused on wetlands. RESERVA program attendees hail from all over Latin America and the Caribbean. De la Fuente’s own conservation education journey can be traced back to her childhood where she’d eagerly await the stories her father and brothers would tell about their hunting and fishing trips. While she was too young to join them, a love for the outdoors was in her blood. Years later, de la Fuente decided to pursue this passion at university. She studied a wide variety of topics related to hydrology, biology and engineering. Shortly after graduating, she returned to her home city of Monterrey, where the DUMAC office is located. Education and training are among de la Fuente’s top priorities, and RESERVA is DUMAC’s flagship educational tool. Upon completion of the program, the professionals she is guiding will return to their jobs energized by the knowledge they’ve acquired from people like de la Fuente and the hands-on skills they’ve developed in conservation leadership. Their newly earned skills will be essential. Eduardo Carrera would know. As DUMAC’s chief executive officer, Carrera delicately navigates a landscape of sometimes conflicting interests. He’s trying to save his country’s precious mangrove swamps, other sensitive habitats and the continent’s waterfowl overwintering in his country. Carrera relentlessly explains the importance of mangrove swamps to governments, developers and the owners of shrimp farms. These swamps are vital to the Mexican ecosystem. 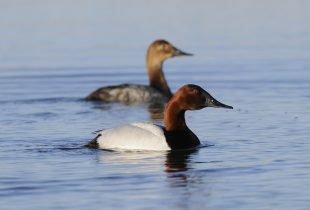 They’re also the winter haunts of migratory waterfowl from the U.S. and Canada: species like redhead, northern pintail, wigeon, and of course, the blue-winged teal. Nearly 20 per cent of coastal Mexico consists of mangrove swamps. “They contain 21 of the priority areas that are heavily used by waterfowl wintering in Mexico,” says Carrera. Mangrove trees and shrubs, with their deep, complex root systems, are suited to the saline conditions. And the swamps they anchor are full of rich, organic matter that produce food—like aquatic invertebrates—for hungry ducks. On Mexico’s west coast, especially in the state of Sinaloa, intensive shrimp farming has flooded, choked off or diverted water needed for the long-term health of mangrove swamps. Shrimp farmers build artificial ponds predominantly in adjacent salt marsh, stock them with shrimp and dig channels to supply the ponds with freshwater and seawater. The altered flow and increased salinity of the water eventually kills the surrounding mangroves. 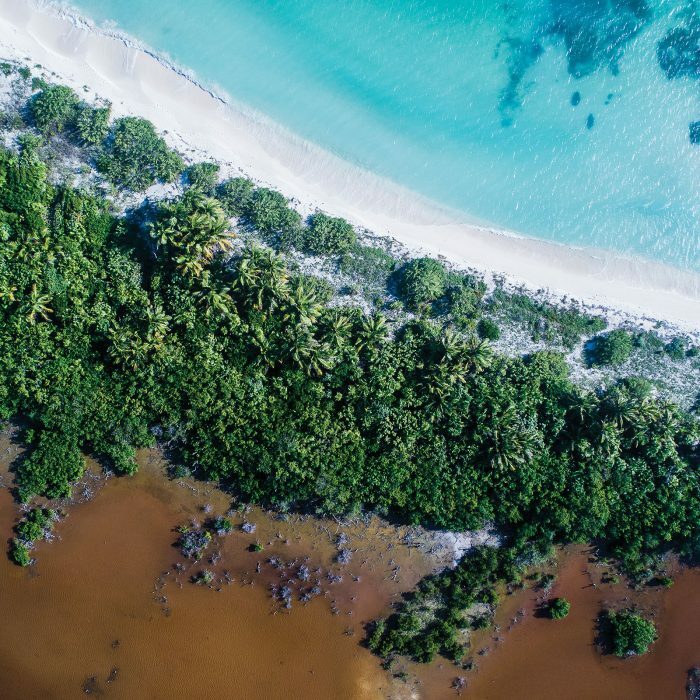 A satellite imagery survey DUMAC carried out from 1992 to 2003 revealed that 28,202 acres (11,413 hectares) of mangroves were lost to shrimp farming during that time. Carrera says the survey images are a powerful educational tool to show government officials the consequences of shrimp farm growth. The real tragedy is while that farming can bring short-term economic gain, it is ultimately unsustainable. Carrera notes government permissiveness is often fuelled by political and short-term local economic gain, not with an eye towards sustainability. Along the coasts, shrimp farms are established and then quickly abandoned due to disease and pollution. “They got a good harvest for one year and they couldn’t do anything else, but the damage has been done,” laments Carrera. “We’re not saying don’t build shrimp farms. We are saying there’s a way to build economically feasible ones that will stop the damage to the coastal ecosystems,” he says. There are other threats to Mexico’s ecosystems. Those living in deep poverty also inadvertently put a burden on the land. Many poor rural communities lack proper sanitation, and waste can freely enter and destroy nearby wetlands. In response, DUMAC has started building wastewater treatment facilities that often contain constructed wetlands. Some of the larger villages need to dramatically reduce the waste coming into the wetland areas. By stepping in at a grassroots, infrastructure level, DUMAC has restored some important wetlands for migratory and resident waterfowl. In smaller villages DUMAC has installed dry baths, biofilters and biodigester toilets in homes to reduce water use and increase the quality of wastewater the villagers produce. Many villagers lack a clear understanding of their inadvertent ecological impact. This makes rural education an important part of what Carrera calls “the social component” of his organization’s challenges. He believes when people receive environmental education they come to see themselves as part of the problem—and the solution. They become more receptive to new eco-technologies and change their attitude about the environment they depend on. “They need to realize that maintaining those wetlands will directly affect their own way of life,” says Carrera. Back with the RESERVA participants, surrounded by the water and wildlife that continues to inspire her, de la Fuente is providing another generation with the knowledge and tools to embrace conservation as part of their lives. “I have always loved my job and am so grateful DUMAC gave me this chance to follow my passion,” she says. And North America’s conservationists, and migratory waterfowl, are grateful to southernmost duck diplomats like de la Fuente and Carrera. With a modest annual operating budget of $3-4 million, DUMAC staff operate with tremendous efficiency. Cumulatively over its more than 40 years of conservation work, DUMAC has restored and enhanced more than 1.9 million acres (768,900 hectares) of habitat throughout Mexico and classified 27 million acres (10.9 million hectares) of wetlands and uplands as part of the Wetlands Inventory Program.